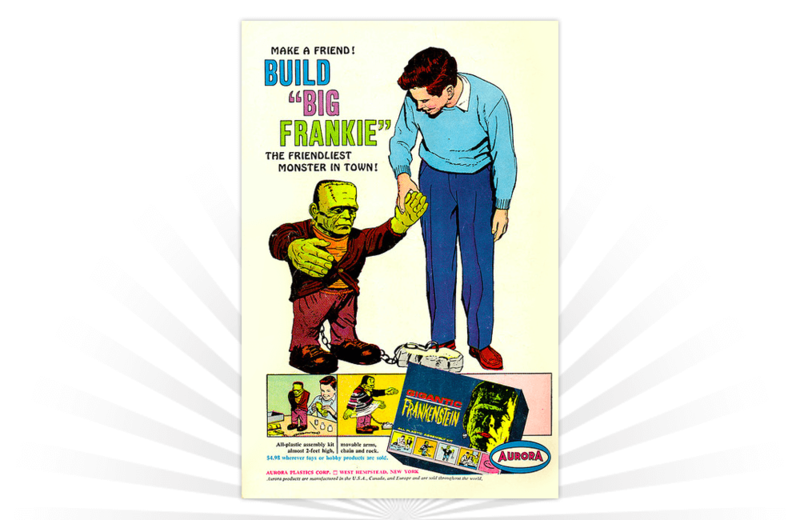 The Gigantic Frankenstein All Plastic Assembly Kit was a model kit produced by Aurora in 1960s. True to its name, the model stood a whopping 19-inches tall. “Big Frankie” sported a large head, had moveable arms, and was chained to a chunk of concrete. Marble Dome from Parker Brothers was the "3-D game of rapid-fire marbles and lightning quick reflexes!"